This General Safety Code must be read in conjunction with the British Rowing Rowsafe 2017 Safety Directory and other relevant Charlestown Rowing Club Safety Codes. Personal safety and the safety of others should be the foremost consideration of anyone involved in water sports. Gig rowing is not a dangerous sport if a few simple precautions are followed; always respect the sea, be courteous to others on the water and be alert to dangerous situations. 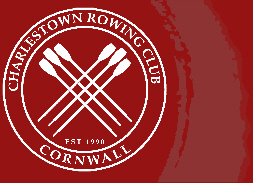 No Charlestown Rowing Club boat shall be launched without a Committee Member being present and consenting, or clear consent received from a Rowing Captain. The Coxswain must be identified before the decision to launch. The Committee Member present or the Rowing Captain giving consent must take into account the experience of the Coxswain, the weather conditions and ability of the crew. The Coxswain is responsible for assessing the conditions on the slipway and the prevailing sea and weather conditions (and the forecast); and the number and nature of club members present for launch and recovery when deciding whether it is safe to launch. Launch and recovery of the gig from the beach / harbour must be without risk to club members or the boats and equipment. If there are any concerns about safety, the weather, or the safety equipment then the launch should be cancelled. For additional information of Safe Launch and Recovery procedure and Safe storage see Charlestown Rowing Club Handbook 2017 and British Rowing BR Rowsafe 2017. All rowers or passengers under the age of 16 (or if still classified as Junior Members) must wear a life jacket at all times. All rowers or passengers in the Club Skiff must wear a life jacket at all times. • Read the Charlestown Rowing Club Safety Policy and show their commitment to it by signing a copy. • Complete the Safety Basics online learning module. • Be aware of the effects of cold water shock and hypothermia, described in the Cold Water and Hypothermia online learning module and complete the on-line learning module. • Understand, and abide by the rules that the club has defined as a result of its Risk Assessments. • Be familiar with the club’s Safety and Emergency Response Plans. • Understand the hazards associated with sea rowing (such as tide, wind strength and direction and waves) and the barriers and controls to be used. • Understand the correct techniques for launching and recovery from a beach or slipway. There is further information on in the Club Handbook and Boat Handling In Rough Water . • Not wear boots (such as wellington boots) when afloat as they make it very difficult to tread water. • Not smoke or be under the influence of alcohol whilst on board. o Swim at least 50 metres in light clothing (rowing kit). o Tread water for at least two minutes. o Swim under water for at least five metres. - Get off the water. • Understand the need to stay with the boat and use it as a life raft, unless doing so results in greater danger. • Attend any Capsize and Recovery training if the club can offer it. • Provide the club with relevant information such as medical conditions and swimming ability. • Inform the club of any reason that they may be at risk due to current or previous conditions, illness, or injury. • Operate within their competence level by recognising their growing level of knowledge and understanding. • Take responsibility for their own safety and the safety of others affected by their activities. Coxswains are responsible for the safety and welfare of all in the boat. Only those Members registered with the Club as a Club Coxswain shall act as a Coxswain in a CRC boat. Other Members may act as Coxswain only in an emergency, or when training under the direct supervision of a registered experienced Coxswain. • Carry a working Hand held VHF marine radio and ideally also a mobile phone. • Know and understand the sound signals and lights used by other vessels. • Learn about local hazards, local rules of navigation and navigation marks particularly when visiting unfamiliar venues. o Ensure there is a responsible person on the shore to help recover the gig or assist in an emergency by contacting the appropriate emergency services. o Ensure that all crew members wear a lifejacket or that sufficient lifejackets for all crew members are carried in the boat. Towing must only be undertaken by a volunteer tower registered with the Club. In an emergency, or when in training - a person acting under their direct supervision - may undertake the towing. • The tower / driver is always responsible for his or her load; please drive with due caution and concern for others and your load. • Slacken straps when towing has finished.